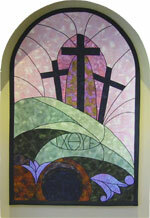 The banner on the right was patterned after the stained glass window (image #1 below). We experimented with colors using a computer graphics program. 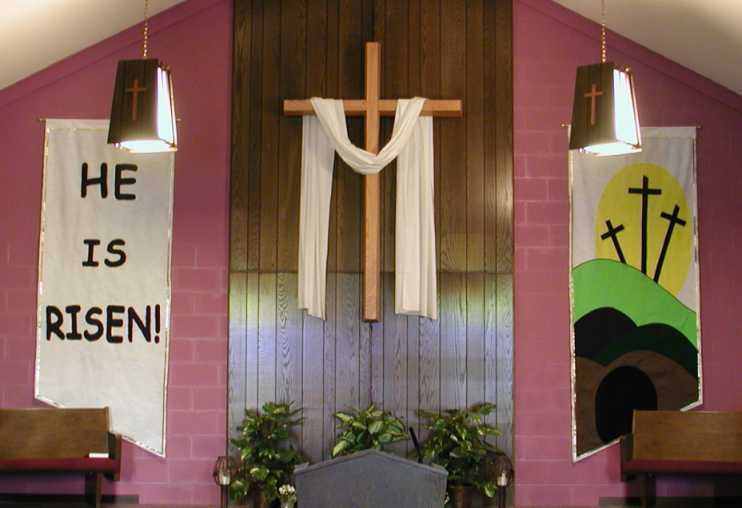 Using blue for sky behind the crosses and sun made the sun look like an Easter egg! So we chose white for the background. Click here to see outline of sections.